Commissioned by Pat Murphy of Jackson Hole, Wyoming, for his home on the Tucker Ranch. 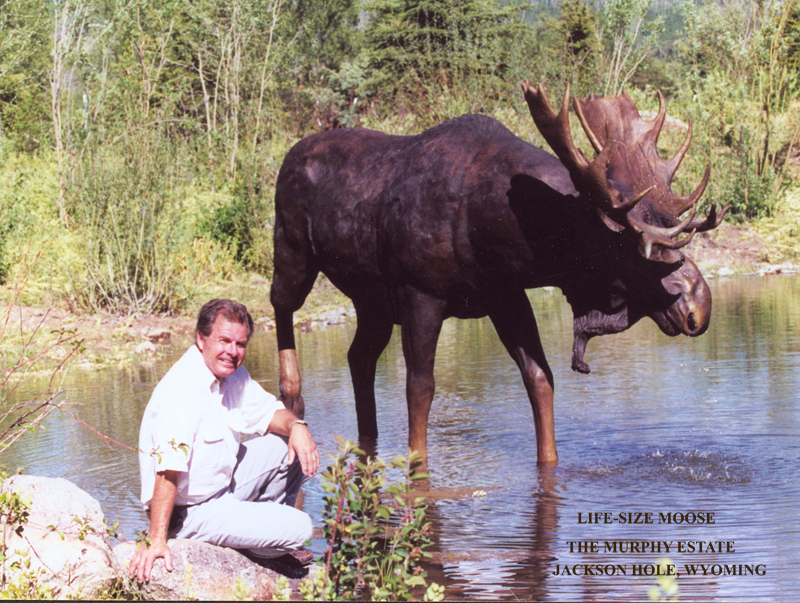 Doug depicted this magnificent animal, unique to North America, to be placed at pond’s edge, alerted while drinking. Water is pumped up through him to drip from his antlers. The large palmed antlers are perhaps the Moose’s greatest attribute. The hanging “bell” under his chin is rare on older bulls because they will freeze to the winter ice. 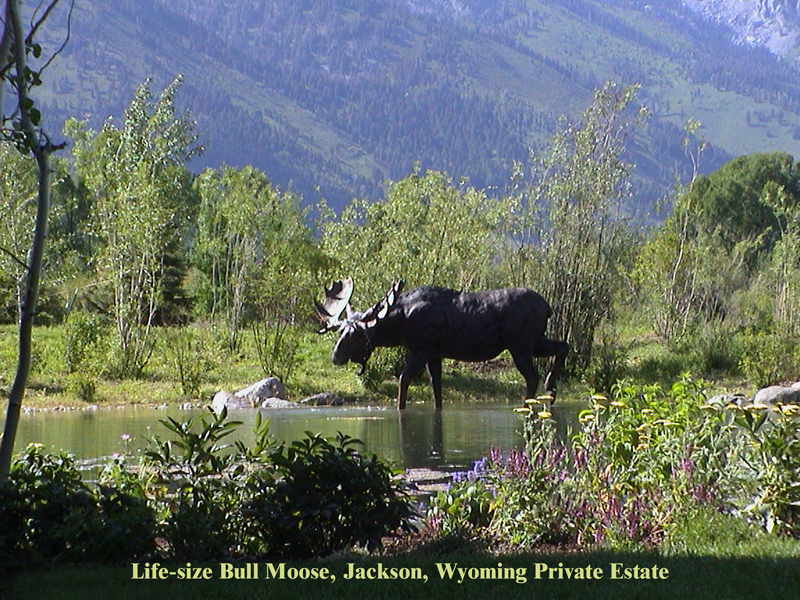 This is a bull in his prime, fondly named “Tucker” by the Murphys who can view him from every room with the Grand Tetons as a scenic backdrop.